The Life of Brad: April 2009, What Job? 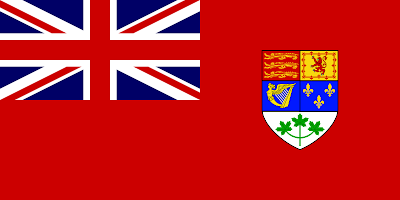 Wow, Canadian flag before 1965. Decided to jump on my bike and meet Shane, Laura and Dave up at Shane's Uncle's place on a Kiwi Fruit farm 40 minutes south of Tauranga. Much warmer than Welly and all in all a good ride. It had been a while since I went through the heart of the North Island on Highway 1 and well worth it. Multiple changes in scenery occurring every 25 km. especially all the different vegetation. Up at the Kiwi Farm we had a couple of relaxing days, good eating and some drinking. 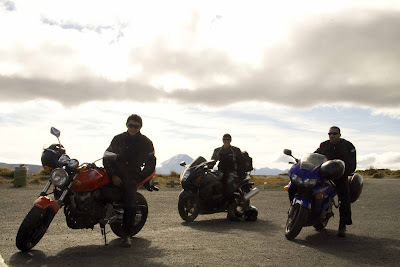 Monday came and we said good by to the Kiwi Farm and mounted our bikes back to Welly (5 to 6 hour ride). Along the way home, about 1.5 hour left to go, Dave had a bit of a shaking accident as he clipped the front end of an Integra going 100 km! Ouch. I received a texted at the gas station I was waiting at as I was well ahead when it happened. Dave mentioned he was in an Ambulance and that was it. I didn't know the situation at all until I raced back to see Dave getting out of a cop car after giving his statement. Walking and talking with only a cut up knee. Wow. See video. Later in the month it was time to move on, so I handed in my 1 month notice. For multiple factors I decided to stop working again and travel a bit more, which I always had a plan to do. You know the old Summer and Summer plan. Regardless of how I planned things it was still a tough decision. I have developed some great relationships with co-workers and clients and this is always a tough thing to walk away from. For those who didn't know I have been the project manager on a $30 million dollar Maintenance facility for the New trains coming in 2010 to Wellington. Quite a big project for a little Canadian guy like myself. A great experience and an opportunity to work with the best client/boss I have met in my small career. David Gordon continued to amaze me each day with a balance of energy, efficiency, caring and calmness. This did not make my choice to leave easy, but on April 20, 2009 I handed in my 1 month notice to Octa Associates and ended my 1 and a half year employment. Best of luck to the people at Octa and ONTRACK as the projects continue to roll on. Shot taken at our Company Conference in Auckland (Oct 2008). Brad, Howard, Andrew, Sharlene, John, Nicci, Marlene, Sarah, Bruce and Terry and Ben in the front row.